Wrinkles are everybody’s business. After all, Douglas MacArthur himself said, “Age wrinkles the body. Quitting wrinkles the soul.” So, why do you have to give up your youthful skin too soon when there are several things in your power to do to hold back signs of skin aging? Wrinkles are part of the natural scheme of things. Our bodies undergo a continuous wear and tear, why should our skin be exempted? Poor skincare health and hygiene, however, is not an excuse. Practice basic and simple skincare and wear your wrinkle proudly as you grow older. You don’t want to correct wrinkles, you’d rather prevent them from appearing at all. 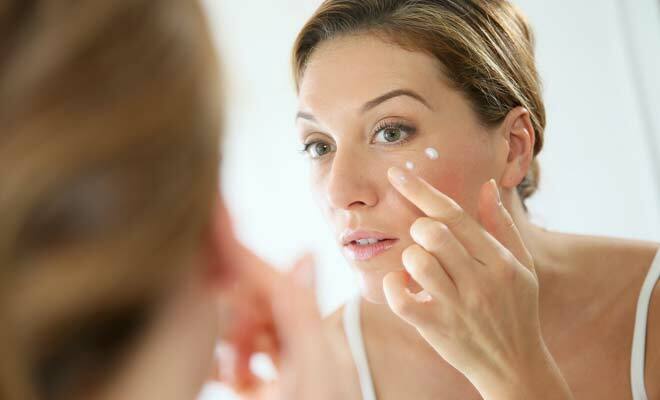 Would you believe that, after all these years, the best way to do so is by regularly applying your sunscreen? Yes, it’s that basic.That’s because the sun is the single most damaging factor that ages our skin. However, the effects are mostly temporary, achieved over the long term and improvements in appearance are minimal and hardly noticeable. You know what will make more difference? It’s having a bubblier, more light-spirited personality that will make you exude a positive aura which, at the same time, makes you appear young and attractive. What makes up your skin? At the very basic, cells, of course! Just like any other part of your body is built on them. Cells need good nutrition to function well — that, you can achieve only by eating healthy and exercising regularly. Of all the fantastic tips, remedies, formulations and procedures you’ve heard about how to remove wrinkles, it’s sleeping for a sufficient number of hours every night that still gets an A-rating for revitalizing and rejuvenating your tired, aging skin. Your cells work on overdrive to repair damages in your skin matrix. That’s the reason why sleep has been called the monicker, “beauty sleep,” all these years. Surprised? There wasn’t really ever a need for anybody to go through leaps and bounds for perfectly youthful skin. There’s no point why you should. These five solutions may be within anybody’s reach but, they’re far from simple. Discipline is the magic pill you need to stay young and beautiful.